Continual quality control and the use of tried and tested brand fabrics with up to 100 % UV protection guarantee maximum safety and functionality. Choose from over 200 fabric designs and thousands of color combinations. 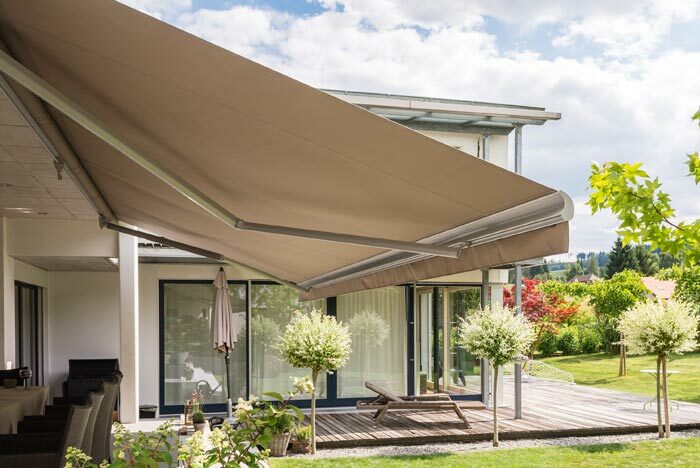 Depending on the model and desired comfort level the awning is driven either manually using a crank or by a motor, which can also easily be operated via remote control or sun / wind sensors.